Highly motivated to win, Ahmad/Natsir instead had to settle for being runners-up in their last match together, while Saina Nehwal won, but without the happiness that usually goes with a big title. 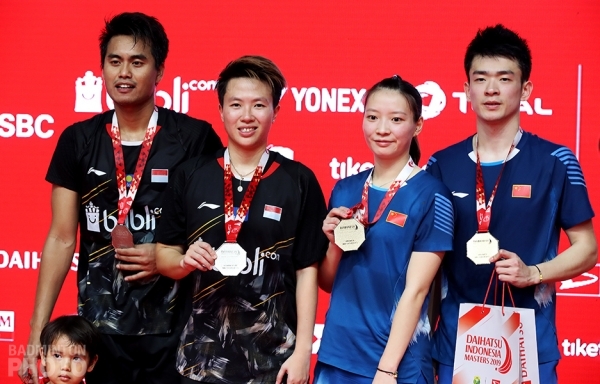 Tontowi Ahmad / Liliyana Natsir had to be satisfied with finishing as runners-up at the 2019 Indonesia Masters, their last international tournament together. They were defeated by world #1 Zheng Siwei / Huang Yaqiong in three tough games. 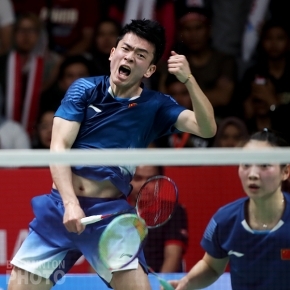 In the mixed doubles final, Ahmad/Natsir looked to have a strong chance to steal victory, after winning the first game and leading halfway through the second. But they finally let the match slip away 21-19, 19-21, and 16-21. Even though in the past few months they have not been training together, the 2016 Olympic gold medallists were still able to perform with tough defense, deadly attacks, and tricky net play. Even so, they had difficulty making it through their opponents’ defense. An increasing rate of unforced errors also became a great factor in their defeat. The defending champions lost momentum in the second game. They looked to be cruising to the finish line, getting out to an 18-14 lead, before they let Zheng/Huang stop their advance with a 6-point run. The Indonesian pair finally surrendered at 19-21. The third game looked harder for the host pair. For the first time in the match, it was the Chinese pair that took the early lead. The Olympic gold medallists did their best to catch up, but the reigning World Champions would not have it and Ahmad/Natsir ran aground, letting Liliyana Natsir’s dream of a fairy-tale end to her career slip away by a score of 16-21. “Those who saw the match could see there was an opportunity indeed. There were a number of mistakes that were made. We must admit, the Chinese players have strong speed and power. They are also much younger than us,” said Natsir. “We struggled a lot during the match but I am satisfied with our performance today. We were able to put our opponents, who are the number one pair in the world, in trouble. Moreover we are not young anymore,” she added. Agreeing with the Indonesian pair, Zheng/Huang also felt great pressure in today’s final match. Not only because the opponents that they were faced were a very experienced pair but also support from the crowd who had made their confidence waver in the first game. “Today’s match was quite tight, especially because our opponents had the strong ambition to finish their last match with a victory,” Zheng said. 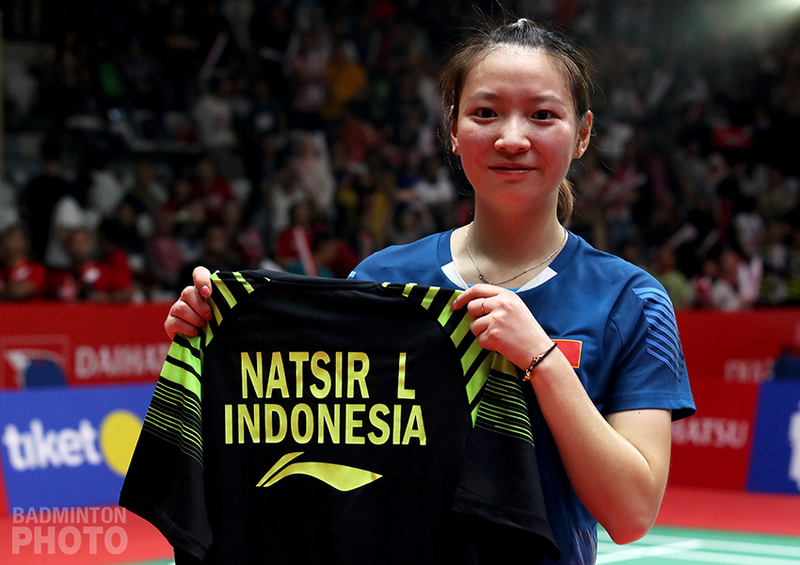 The final of the 2019 Indonesia Masters marks the end of Liliyana Natsir’s career in international badminton. She has declared her retirement after 24 years of dedicating her life to being a professional shuttler. Indian star Saina Nehwal won the Indonesia Masters women’s singles title after her opponent Carolina Marin retired due to injury in the first game. 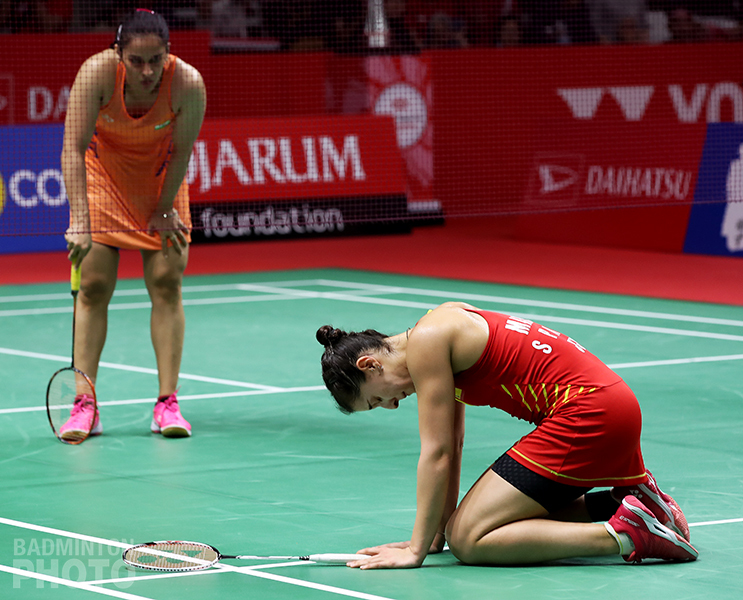 Nehwal said she is not really happy with this title and was also concerned about the injury suffered by Marin. Marin actually performed brilliantly from the start of the match. The 25-year-old Spaniard even managed a six-point lead over Saina Nehwal. However, when the game hit the 10-minute mark, Marin landed incorrectly when retrieving Nehwal’s shot. She had a chance to continue the match, but then gave up. Marin right leg suffered an injury so decided to retire with a score of 10-4. “Of course, it’s not a pleasant to see a situation like that. It hurts,” Saina Nehwal said after the match. “As someone who has suffered injuries in the last 2 to 3 years, seeing something like that really hurts me. “I know how it has an impact on the mentality. When I was injured, I felt very sad, so I know how difficult it is when a player experiences an injury like that,” said the 28-year-old athlete. 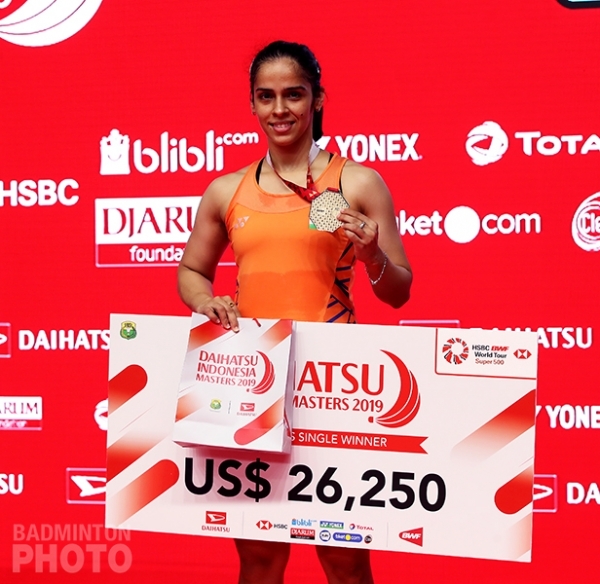 The Indonesia Masters 2019 became the first title in a ranking event won by Saina Nehwal since 2017, although she won Commonwealth Games gold last spring. The title was the fourth she won at Istora Senayan after winning the Indonesian Open in 2009, 2010 and 2012.